At Paris Baguette there was a lot of interesting pastries. All desserts were in their own cubbyhole and customers chose whatever they want. 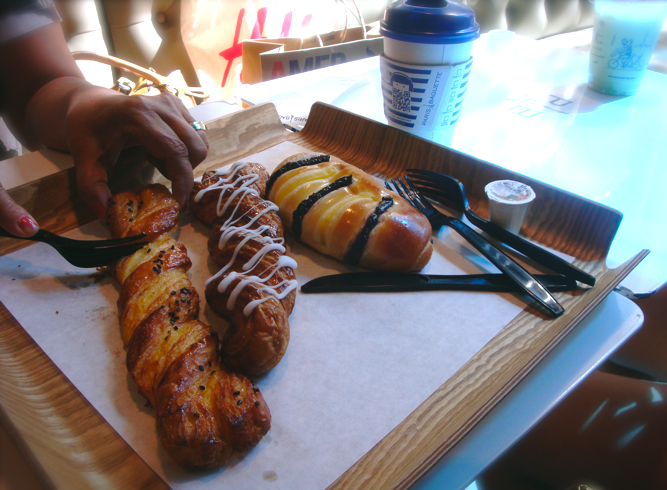 My aunt, cousin, and I sampled off each other's pastry. I only remember the one to the left was a Sweet Potato Pie and the one to the right was a pastry with a taro filling. They were all sweet, rich, and kept me full for quite awhile.